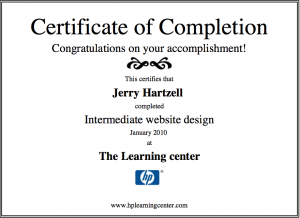 This class was offered by the HP Learning Center and was divided into four main sections dealing with HTML Usage, Cascading Style Sheets, Search engine optimization, and Website development and maintenance. The information was presented in an easy to follow format and while each chapter did not build upon the preceding, all content was valid for developing websites. The chapter on Search Engine Optimization was a very good primer into starting a Search Engine campaign. Every website owner or manager read this chapter. 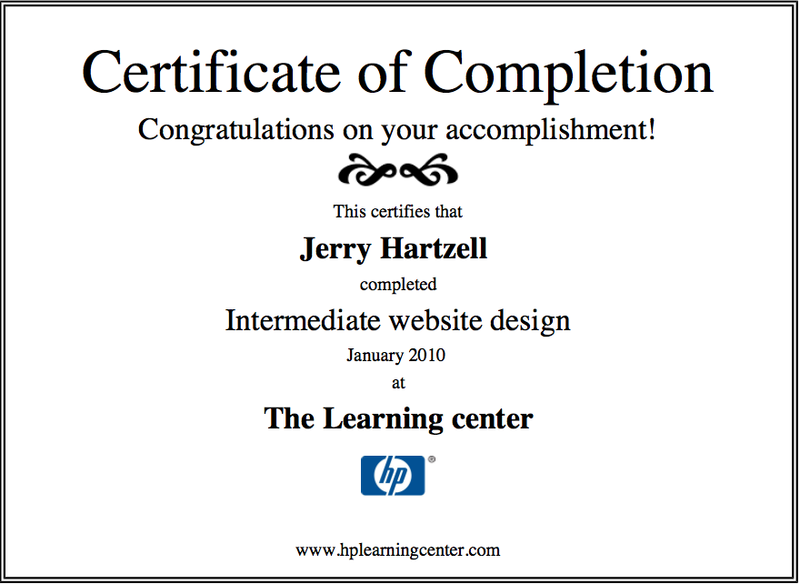 Once again the experience of taking a class from the HP Learning Center was a positive one. As more classes become available the staff at Sites By will continue to build its knowledge base to provide the very best in services to its customers.